The cyber security industry is on course to generate salaries of £60 million per annum in Northern Ireland, according to Queen’s University’s Professor Sir John McCanny, who was addressing a major industry summit in Belfast this week. Delegates also heard about a new cyber partnership with Direct Line Group PLC, the company responsible for such brands such as Direct Line, Churchill and Green Flag. Industry leaders, start-ups, SMEs, government policy makers and researchers from around the world are meeting for 7th World Cyber Security Technology Research Summit, hosted by the Centre for Secure Information Technologies (CSIT) at Queen’s. 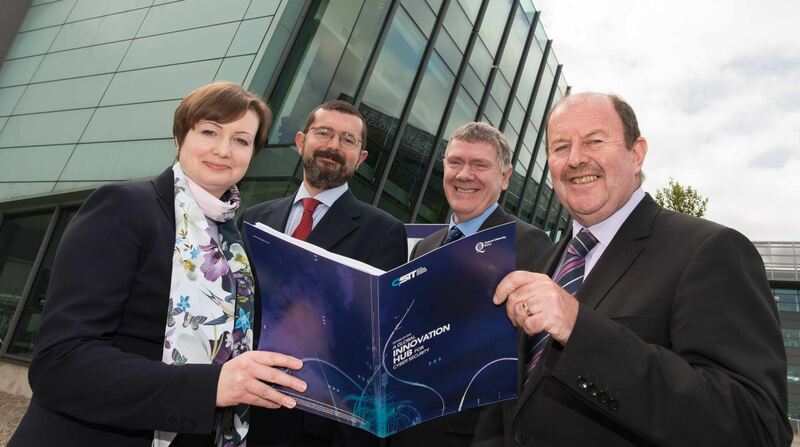 CSIT, which is the UK’s lead university centre for cyber security research, is based at Queen’s Institute of Electronics, Communications and Information Technology (ECIT), located in the Northern Ireland Science Park on Queen's Island. For researchers and technologists the focus of the event is security for a future digital society but for the commercially minded, the growth of new cyber security companies and the positive economic impact of the industry is top of the agenda. The cutting-edge cyber centre also announced that Direct Line Group PLC, the UK's largest retail general insurer, owning brands such as Direct Line Churchill and Green Flag, has become a Full Member and official partner of CSIT. Speaking at the research summit, Professor Sir John McCanny commented: “This is an exciting time for the growing cyber security business sector in Northern Ireland. The economic impact of this industry in terms of the local economy is now significant, with estimated salaries alone now being close to £60m per annum. “At CSIT we are at an inflection point in our development. The industry is seeing significant growth which we are supporting through our internationally leading research and innovation activities. CSIT works with many high profile industry partners to shape and direct its research agenda so that it has strong commercial and societal impact. Partnering with Direct Line represents a further expansion of CSIT’s reach into the insurance and financial services sector. The arrangement will allow Direct Line to benefit from the Centre’s research knowledge and innovation and both parties will work together to develop board-level training around cyber resilience, awareness, desktop exercises and simulations, ensuring that Direct Line is equipped to tackle cyber security threats and events. Media inquiries to Emma Gallagher, tel: +44 (0)28 9097 5384. Caption: Pictured (L-R): Ruth Davis, Head of Commercial Strategy and Public Policy – BT Security; Conrad Prince CB, Cyber Security Growth Ambassador – UK DCMS; Dr Andrew McCormick, Permanent Secretary – Department for the Economy; Professor Sir John McCanny, CSIT Principal Investigator.